Hi! This is Peggy and I am showing you my Valentines Tag. I sprayed red alcohol markers on my flowers to coordinate with my papers today. Then I created a tag from cardstock and with my adaptor for my specific marker I was able to make my own embellishments with ease using my eBrush. Next I layered my stickers and embellishments to create this tag. I enjoyed creating today's tag for "My Love". 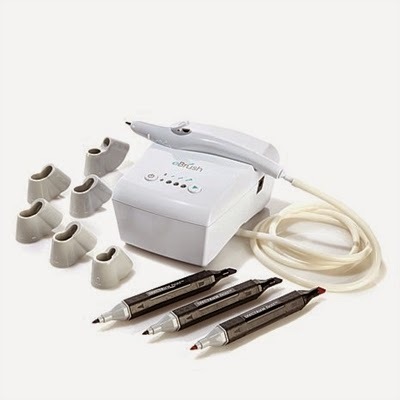 Check out our eBrush by Craftwell Here! I hope you had a fantastic Valentine's Day!